Condominiums and luxury hotels occupy most of the spaces along Ortigas and Mandaluyong. For someone with deep love over classic and traditional design, somehow I feel sad. I can still remember Uniwide in Reliance. How about the popular place called Crossing now known as Greenfield District? 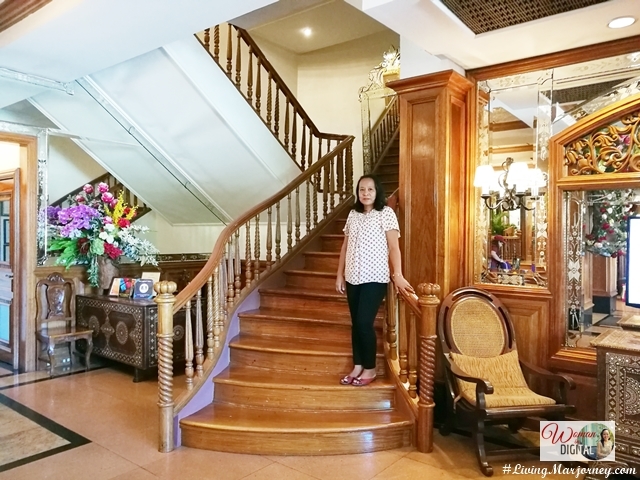 Amidst these modern facilities, there's one old and Filipino-inspired hotel in Mandaluyong that I've been wanting to try and experience. It's the The Legend Villas Hotel. 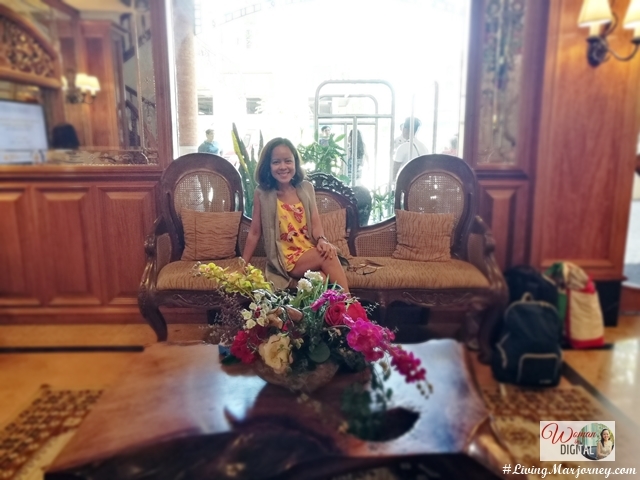 I've been wanting to share our hotel staycation experience at the Legend Villas on Mother's Day. Finally, here's a review. 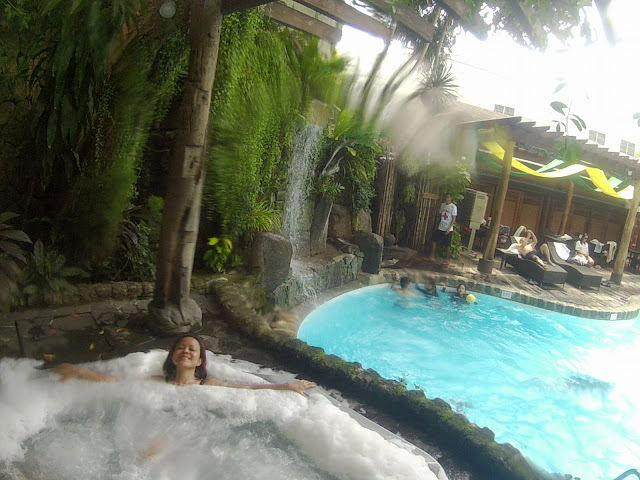 I decided to book a family room at The Legend Villas through Traveloka two months prior to mother's day. I made sure it will be one of the best Mother's Day treat for mom by inviting moms in our family, they are my sister Tina and sister-in-law, Joan. 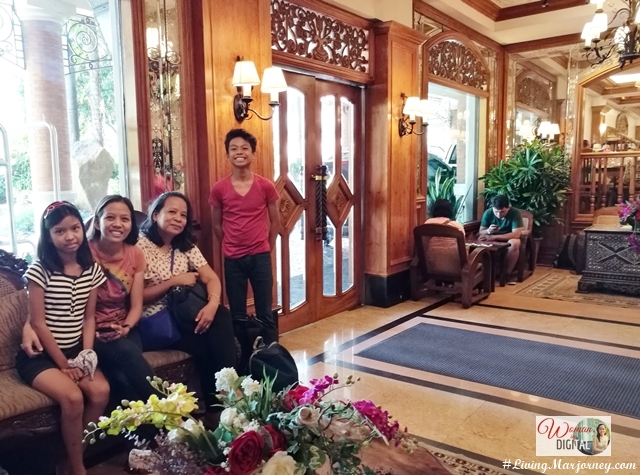 We arrived on Saturday, Mother's Day eve and it was expected to arrive with a huge influx of guests checking in. I wasn't surprised, I even felt happy knowing that more and more Filipinos are enjoying the convenience and relaxation hotels provide. More people are enjoying the benefits of cheap hotels and airfares rates nowadays. With that, more families are coming together for bonding. Going back, despite the busy lobby, the staff were very friendly and accommodating. We waited about 30 minutes before we got a family room for four adults. We did not waste our time, instead took lots of photos here and there. 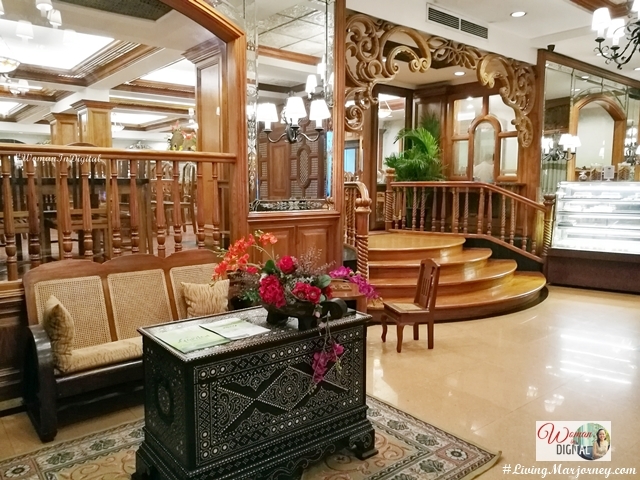 We love the Filipino inspired theme of The Legend Villas hotel. The classic and vintage sofas and furniture which I am a fan. 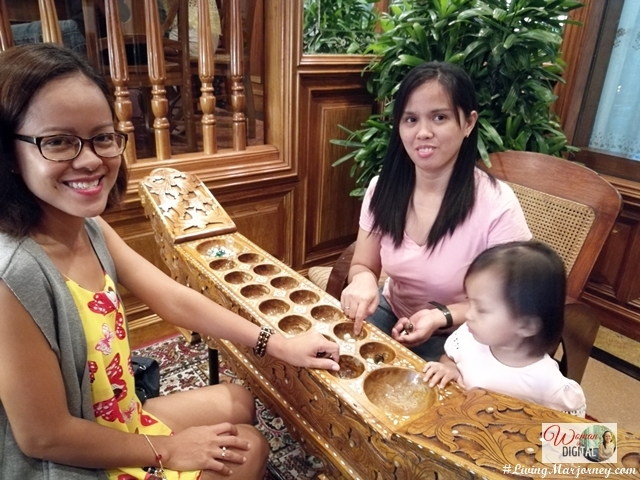 While waiting we enjoyed playing sungka (pronounced as soong-kah). 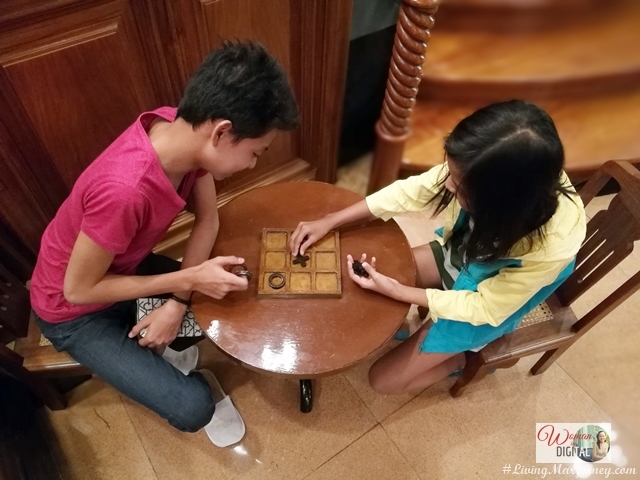 It's a traditional Filipino game played on wooden carved board. There should be two players and each will drop shells or stone on seven carved holes on the board. I felt shame on myself that I forgot how to play sungka while my nieces were watching us. Good thing my sister-in-law, Joan who was raised in Bicol still remember it. My younger brother, Feeter and niece Bianca played "XOX". 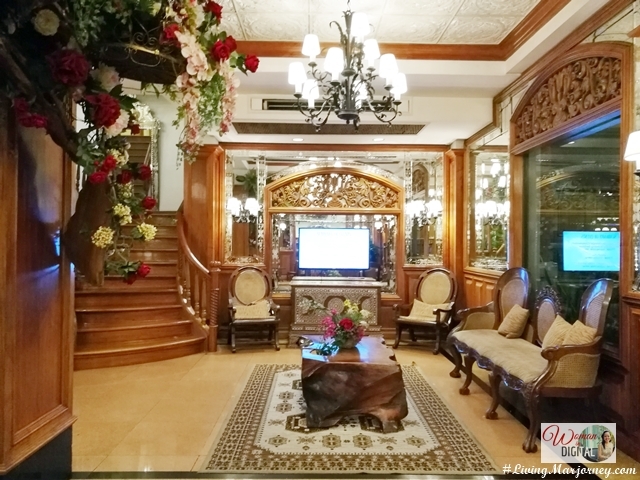 The rooms were named with Philippine flowers. I love our family room. It's definitely perfect for family staycations. The hotel may be old but the facilities were not dilapidated, in fact the bathroom comes with a bidet shower. But the first thing we noticed upon entering the hotel room was the lovely scent. It felt like I'm in a spa. The lights were dim adding to a more relax ambiance. Our room at The Legend Villas has flat screen television with cable so the kids really enjoyed watching movies. There's a personal refrigerator as well and coffee/tea facilities with four sets of cups and saucers. Clean towels are hanging on the bedside's bar. Each bedside has lampshade mounted on the wall. I'm a fan of lampshade because I like reading books before going to bed. It has a three-way-bathroom. The shower room and toilet are separated. Toiletries are also provided. 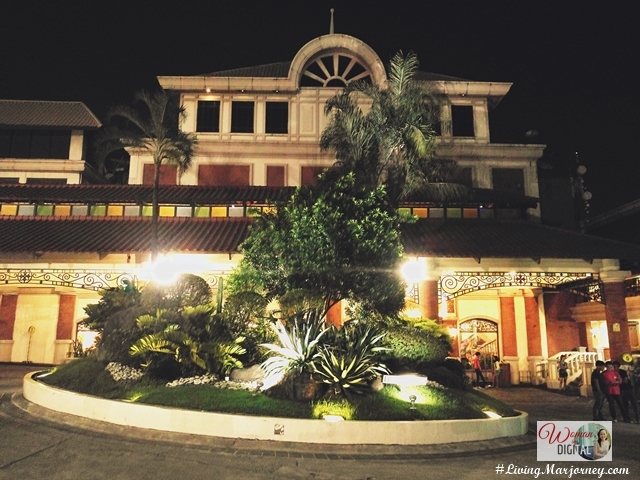 Our first agenda was to try the meryenda buffet at Lola Maria's (Php 299), Legend Villas only restaurant serving Filipino cuisine. I will post a separate review of the restaurant and the buffet meryenda soon so stay tuned. The kids were excited to swim. They did not mind the crowd as long they can swim and play in the pool. We granted their wishes but us, the adults swum the next day. I think we spent most of the swimming time in the hot Jacuzzi. Mom said her arthritis were relieved. Obviously, we all had a great time. The pool and Jacuzzi were clean. There's a life guard on duty. Towels are also provided for guests. Since we're all full from the buffet meryenda, I just ordered our dinner at Angel's Pizza and Pasta. A bucket of fried chicken with rice and pasta for movie marathon. It came 40 minutes after I placed my order so I suggest order in advance. I believe the hotel is undergoing some renovations. 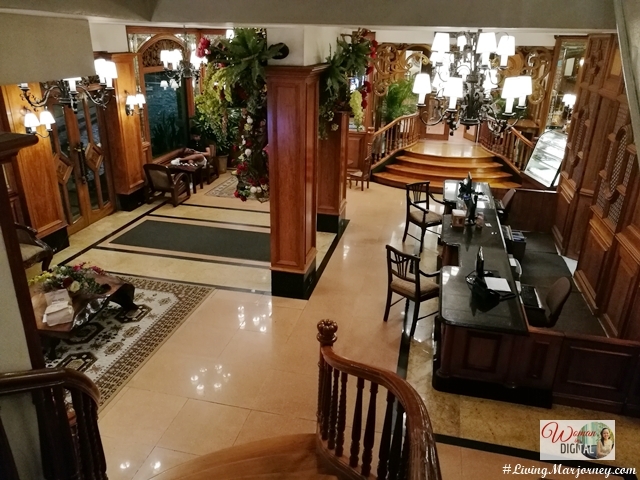 I hope they will maintain the old, classic look and Filipino-inspired design and interior and still provide a world-class hotel services. All of us woke up early, the adults looking forward to breakfast at Lola Maria restaurant while the kids wanted to take a dip in the pool. 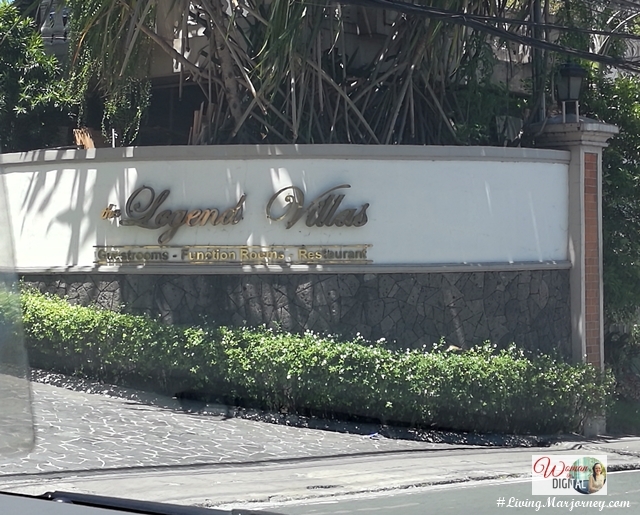 To sum it all, it was a great family staycation within the budget at The Legend Villas. I will surely comeback, next time with my husband. P.S. This is not a sponsored post. I paid for our accommodation and food.